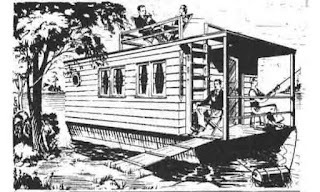 The DockBox is an 8ft Nanoshanty for very calm waters. 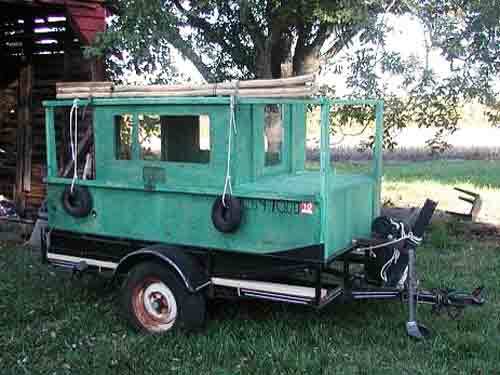 Check this one out it's guaranteed to amuse. 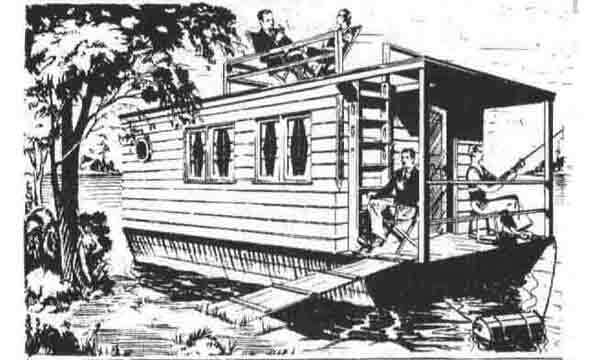 From 1978 edition of Boat Builder. 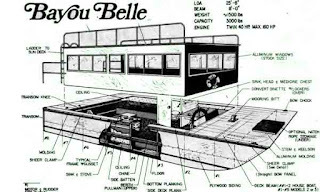 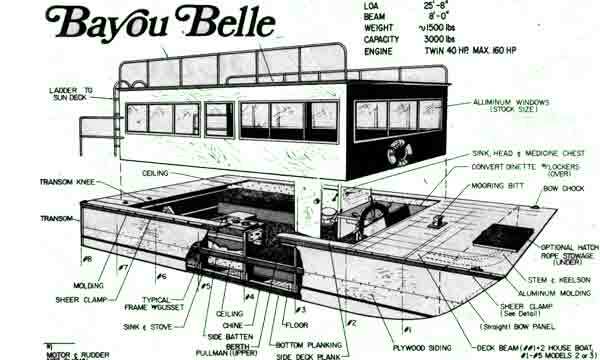 A PDF copy of the plans for the versatile 25' Bayou Belle which can be built as a houseboat, a fisherman's boat or a sun lounge sports utility. Download Lisa B Good notes and drawings. 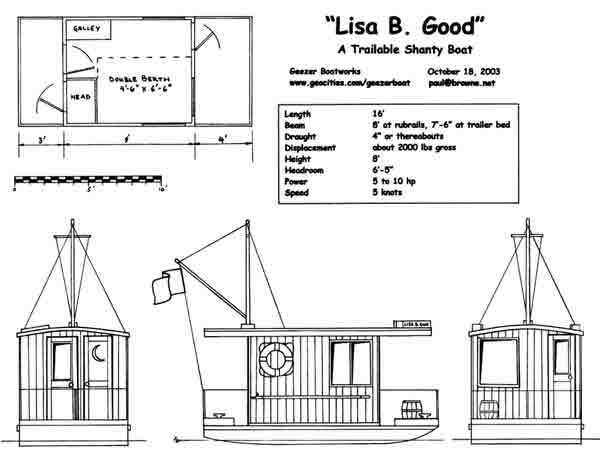 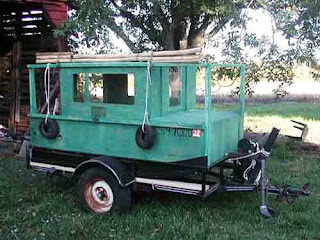 Plans to build a trailerable shanty house boat.